Summer is almost here. With the kids out of school, it’s the perfect time to explore new places and travel as a family. But where should you go? 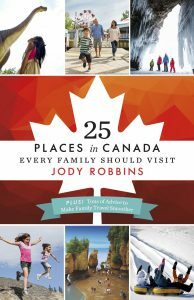 Those thinking about Canada should seek out Jody Robbins’ 25 Places in Canada Every Family Should Visit for ideas. Robbins, a JET alum (Tottori-ken, 1994-97) and arguably one of Canada’s most prominent travel writers, profiles locations going counterclockwise from Victoria to Yukon, from the famous (Toronto, Vancouver) to the relatively unknown (Parksville-Qualicum Beach, Avalon Peninsula). As the book is geared towards parents, Robbins devotes plenty of space to sharing advice about how they can entertain their young ones. In addition to expounding on the requisite what to do and see activities for each destination, Robbins just as importantly lists family-friendly options for dining (“Kids will love the wood-fired bambino pizza” at Pizzeria Prima Strada in Victoria) and lodging (a highlight of the Fairmount Chateau Laurier in Ottawa is the Art Deco-style pool, which “children love parading down to in their child-size bathrobes”). 25 Places features a diverse mix of urban and nature-filled destinations (like Outaouauis), so readers will get a great sense of Canada’s varied landscapes, as well as some surprises (beaches on the Prairies? 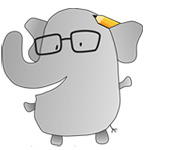 Yes, they exist) and more importantly, how to arrive prepared for them. While it’s obvious that Robbins would include information about how to get around certain places, she excels when extensively detailing how to make your camping trip a safe and wonderful experience: An entire chapter is devoted to providing readers advice about tackling and overcoming the challenges that awaits (as well as tips about what to pack and eat). Camping novices would do well to heed this helpful advice. On a personal note I wondered, as a recipient of a Master’s degree in Responsible Tourism Management—a program in which I examined how tourism is being used to enhance destinations culturally, environmentally and economically—if Robbins would address any cultural and social issues in her destination write-ups. Fortunately, she didn’t neglect them when providing information about several locations and events, such as the Calgary Stampede, where visitors have the opportunity to learn about First Nations culture (just as importantly, First Nations elders exercise tremendous influence in the presentation of their culture at the Stampede). 25 Places also lists other places were kids are treated to an enriching educational experience, such as the Canadian Museum for Human Rights in Winnipeg. While Robbins doesn’t go heavy on history, readers are treated to interesting historical anecdotes about some of the destinations. Ever wonder why there are so many tulips in Canada’s capital? Robbins explains why, as well as how Halifax contributed to the relief efforts for the survivors of the Titanic more than a century ago. More importantly (and easier for readers’ brains to digest), a section titled “Fun Facts” appears toward the end of the write-ups of each location, such as Penticton meaning “place to stay forever” in the language of the Syilx, so if you choose, you won’t arrive at your destination spot in the dark. As the title is 25 Places, it’s clear that some spots had to be omitted. One very conspicuous omission is Montreal. While most other major Canadian cities are listed, it is stunning that Robbins does not devote a chapter to family-friendly activities in the country’s second largest city and home of the 24-time Stanley Cup champion Canadiens. A more minor omission is Whistler: while those seeking family-friendly ski options will be happy about the inclusion of Banff National Park and Blue Mountain, it is surprising that a seemingly prominent winter sports destination that hosted numerous events (including some for the 2010 Winter Olympics) was ignored. However, 25 Places does seem to be a perfect number of places to profile. In the midst of the Lonely Planet-like recommendations, the book shines when Robbins includes hilarious personal anecdotes, such as her young daughter mistaking the Hershey-colored waters of the Bay of Fundy for chocolate milk. She also provides plenty of information about how parents can not only get the most for their children but for themselves as well. Each section of the book includes pictures of families enjoying the sights and sounds of every location, so readers can easily visualize themselves on vacation in each of the 25 spots. This year marks Canada’s 150th anniversary, so it’s a wonderful time for families to explore the wonders of the country. You just need the right information to do so, and 25 Places serves as a worthy reference guide. In addition to extensive write-ups of many of Canada’s most beautiful locales, the book’s modern feel—the “Resources” chapter is packed with websites that will serve as great assistance to vacationers along with money-saving trips provided in quotes by travelers—brings Robbins’s work to life. This makes the mouth-watering prospect of a trip to the land of poutine ever more enticing. For more on 25 Places, visit Jody’s homepage at www.jodyrobbins.com or www.travelswithbaggage.com.